Plenty of mortgage lenders offer loans in the DC area. Buying a home in Washington, DC is similar to purchasing a residence in any other big city. What distinguishes home buying in the Nation's Capital from other metropolitan areas is the city's unique mix of urban and suburban. Furthermore, the city's recently revitalized neighborhoods offer buyers a chance to combine old world D.C. charm with modern city living. Purchasing a home in D.C. requires understanding the city. The demand for housing means that all of the city's neighborhoods are bustling with activity, but the high cost of living makes some areas more desirable. Consult a map. Washington D.C. is quite small; the neighborhoods and cities in the two surrounding states - Virginia on its south, Maryland on its three other borders - make it appear larger. Furthermore, unlike other major cities, Washington D.C. proper is not arranged on a grid. Originally designed with all streets leading to the Capital, many streets are now curved or even split between east and west. Consulting a map will help you understand the shape of the city and its boundaries while helping you identify where you are when house hunting. Understand the culture. 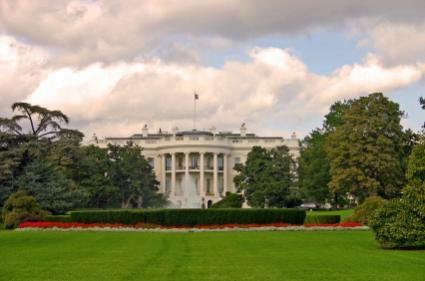 Washington D.C. is a hodgepodge of politics, industry, education, and the American South. The Nation's Capital lies well below the Mason-Dixon Line. What this means is that the city is an anomaly of aggressive political power-players and free-thinking college students who RSVP and expect a hand-written thank you note. Sit outside for an hour or two during warmer weather to grasp the city's true personality. Analyze your lifestyle. You must know the demands of your lifestyle to know where to look for your new home. Consider whether you will rely on public transportation or if you will need a place to park your car. Will you send your children to public or private schools? Where is your job and how long of a commute are you willing to make each day? Can you handle tourists or would you prefer to live further away from touristy destinations? These factors will determine which neighborhoods you investigate. Washington D.C. is packed with different neighborhoods, not all of which are universally referred to by the same name. While every area in D.C. has apartments, the ones below tend to offer more single-family homes. Consider U-Street, located north of downtown. While it abounds with restaurants and clubs, tucked inside the busier streets are renovated or well-kept homes. Parking will be almost nonexistent, but metro and bus stations are aplenty. Home prices in U-street are likely less expensive than other places because of its recent revitalization. Similar neighborhoods include Chinatown, Foggy Bottom, Capitol Hill, and Navy Yard. Check out Adams Morgan and Columbia Heights, which are the areas north of downtown. These areas are more residential, but can be expensive. Nearby attractions include the National Zoo and Rock Creek Park. Public schools in this area tend to be good. Parking will be more available, as will grocery and other stores. Costs, however, will be higher. Similar neighborhoods include Dupont Circle and Friendship Heights. Investigate Georgetown, the home of the University and some of the most historical homes in the area. Brownstones with yards, private garages, and short walks to some of the city's major hot spots make this area one of the hottest places for families wanting to live near downtown, but who are unwilling to put up with certain aspects of urban living. Unfortunately, you'll pay dearly for the luxuries Georgetown provides. Similar neighborhoods include Cathedral Heights and Tenleytown. This is merely a brief list of some of the most popular mortgage lenders offering loan products within the D.C. area. Check with your preferred lender to find out if you qualify for a mortgage. Think carefully before buying a home in Washington, DC and consider renting six months to a year to fully determine your ideal location. The 2007 housing crisis caused prices to lower somewhat, but didn't affect demand. Homes are snapped up fast here, so it could take several months to find your ideal home.